A new breed of matchmakers has been cropping up in recent years. Seen as an answer to modern dating woes, these premium services come with a hefty price tag ($10,000+), cater to high-end clients and are applying lessons learned in behavioral psychology to rewire the way singles think about dating. For those who would much rather spend 10k on a new car than a personal Yente, we offer some of their best secrets, revealed. When picturing our ideal person, we all have non-negotiables. But matchmaker Amy Van Doran, the 31-year-old founder of Modern Love Club, tells her clients they’re only allowed 3 deal breakers - that’s all. Anything more than that, she reasons, and singles end up passing on some pretty great matches because of traits that are really non-issues. Van Doran says this mentality can create unrealistic expectations, resulting in a negative-feedback loop, where blame and disappointment is easily placed on “online dating” or an entire gender. Bottom line - the more open you are, the greater the chances of being pleasantly surprised. The first few months of a budding relationship are a vulnerability-laced hot box of confused feelings and misinterpreted emotions. Matchmakers are able to relieve some of this anxiety, because clients know that anyone willing to be a part of this process must be serious about meeting someone. Which is exactly why it’s important to head to a dating site that works hard to create a community of singles looking for similar things. 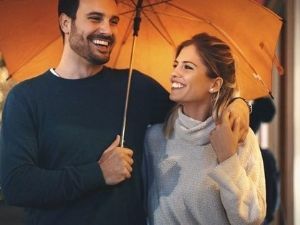 For a real relationship, try a site like Zoosk​, which is a popular site that still places a definite emphasis on genuine connections. Its Behavioral Matchmaking gets to know your habits - likes and dislikes - and offers matches accordingly. It’s designed to gauge your own personality, and what you’re looking for, and then match you with someone you’d mesh well with, making the whole experience a lot more thoughtful. Think about past relationships you’ve been in. Now think about the swipe-heavy online dating culture and how quick we all are to make snap decisions based off of nothing more than a single profile photo. Would that split second have been enough to get you to swipe right on your person? It’s easy to fall victim to swipe culture. But the people who end up in our lives are more 3-dimensional than what most online dating sites allow for. The solution might be to head to a site that does a lot of the matching for you. Elite Singles, a site aimed at educated singles, employs an in-depth questionnaire to match members. By identifying personality traits and goals, the site aims to help singles cut through the crowd and head straight to the people they're most compatible with - minus all of that swiping. Amy Andersen, founder of Linx Dating, tells her clients that unless a date goes horribly wrong, they must go on at least a second date. Her goal is to help clients slow down and not always look for the “BBD - bigger, better deal.” With so many options at your fingertips, it becomes very easy to write people off. Sometimes you just need time for things to develop, and one more date is definitely not too much to ask. Almost every matchmaker has some version of the story of the high-powered woman who can’t see herself with anyone who doesn’t have an MBA, 6-figure salary, and any other fill in the blanks. She then gets set up with the heavily tattooed, laid back and caring guy. The matchmaker says trust me. The client is beyond skeptical. But somehow it works. It’s a surprising connection that turns out to be the winning spark. It’s good to have an idea of what you want in a partner. But don’t let that idea be so rigid that you pass on the one who might be unexpectedly perfect. Ready to take these tips to the online dating arena? Give Zoosk​ a try. It's smart matching and ease of use just might be the key to making online dating work for you.